'Juan Dela Cruz' is Now the Philippines' No. 1 Superhero Series! 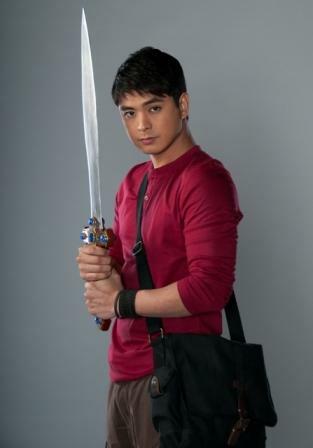 ABS-CBN’s hit primetime superhero drama series “Juan dela Cruz,” topbilled by Teleserye Prince Coco Martin, has truly conquered the hearts of TV viewers across the country as it recently reached its all-time high national TV rating after two weeks since its premiere. Based on the latest data from Kantar Media last Tuesday (February 19), “Juan dela Cruz” was the no.1 overall TV program nationwide with 40.5% national TV ratings, or almost 23 points higher than its rival program in GMA “Indio,” which only got 17.6%. Meanwhile, continue to follow the thrilling adventures of Juan (Coco) now that he is starting to see mythical creatures. How will Juan’s life change when he discovers the secret of his real identity? In his search for his past, who are the two people that Juan is going to encounter and how will they turn his life around?